Modern classic motorcycles are usually elegant, classy. And while they might have exhilarating performance, people prefer riding them in a relaxed, easy-going manner. 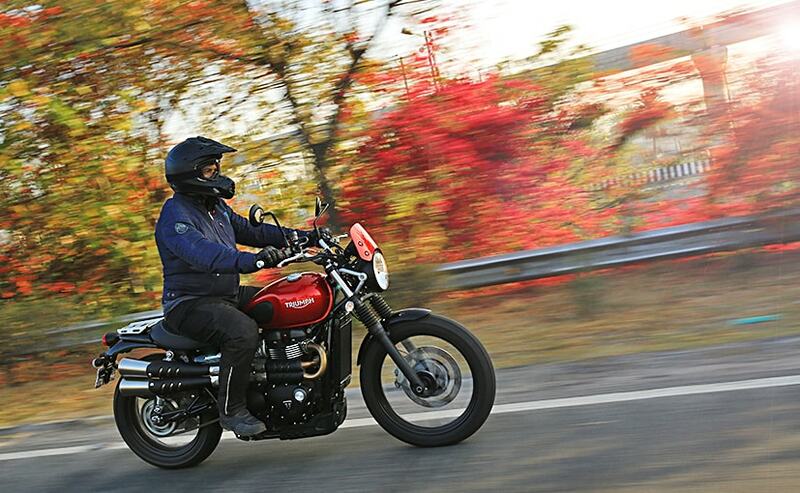 But the 2019 Triumph Street Scrambler is slightly different. It is a modern classic and a good looking one at that but it also offers a certain degree of off-road ability and doesn't complain if you go dirty dancing with it. Along with the Street Twin, the Street Scrambler too got a few updates for 2019. 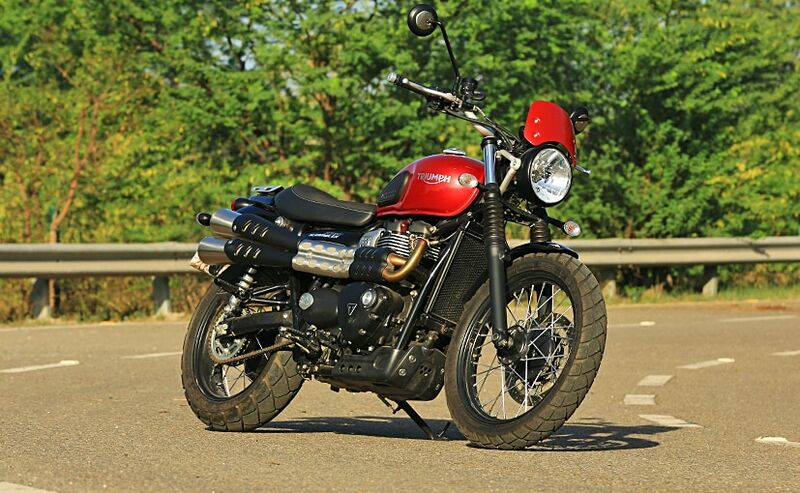 The overall silhouette of the street Scrambler largely remains the same. 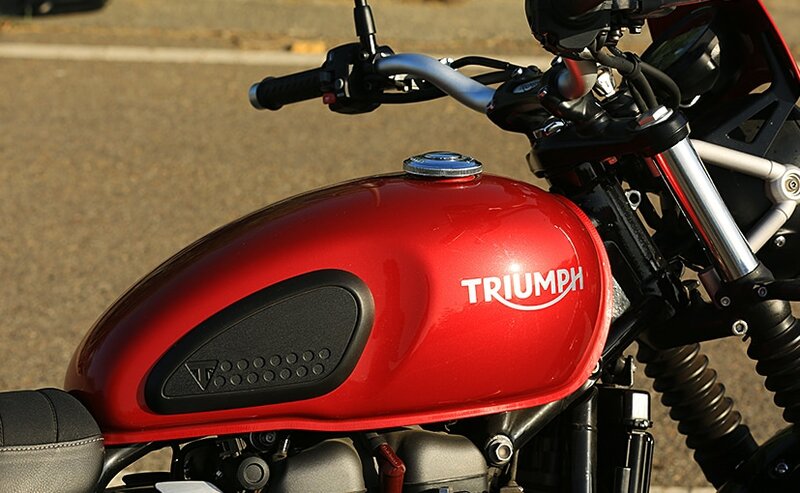 As far as updates are concerned, the 'Triumph' logo on the fuel tank is new and the instrument console now feels premium, with the 'Bonneville' badge on the upper rim. There is a small digital display, which reads out information such as fuel, riding modes and other pieces of information. Also, the headlamp bracket is new along with front fender. Overall, the motorcycle looks achingly good, with its retro styling. 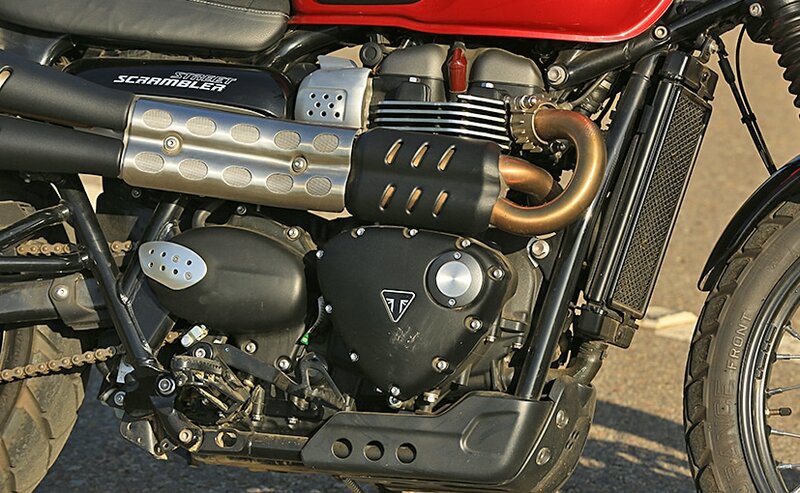 The side-mounted exhaust is perhaps the coolest bit on the motorcycle and unfortunately, it is the least practical too. In Indian summer, the heat from the exhaust is going to roast your right thigh to anywhere between rare and well-done. The fly-screen on top of the headlamp is an optional accessory. Also, the luggage rack in place of the pillion seat is more or less useless as the maximum weight you can put on it is just 3 kilograms. 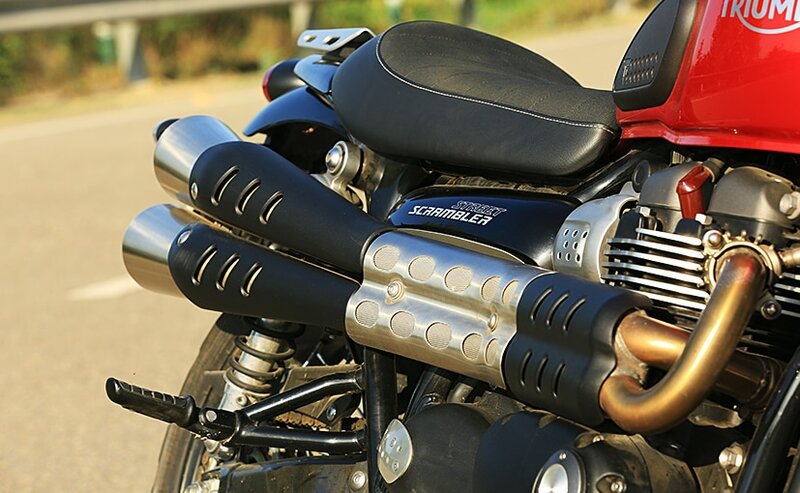 The 900 cc parallel-twin motor now gets new and lighter parts such as cam covers, dead shafts, crankshafts and balancer shafts and with the a slight re-tune, the engine pumps out 18 per cent more power which is 64 bhp 7,500 rpm instead of the earlier 54 bhp. The peak torque output stays the same at 80 Newton metres but it is delivered at 3,200 rpm which means even more torque in the bottom and mid-range. 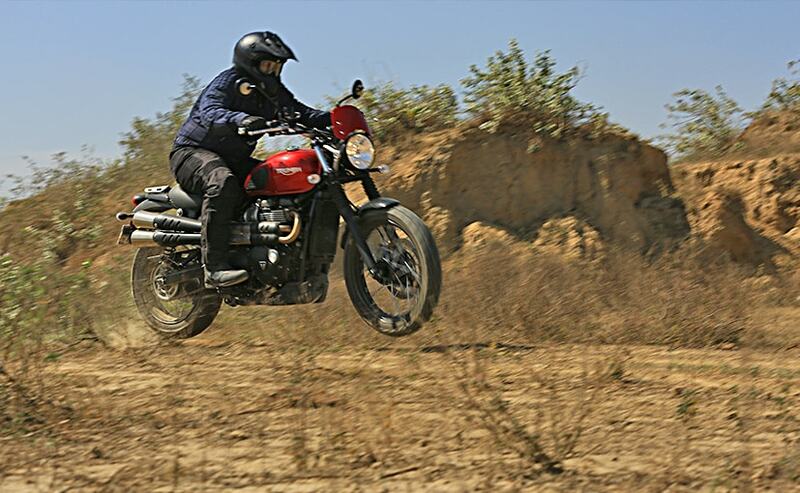 It is a must for any motorcycle which claims to be a scrambler. The other important updates are to the electronics. 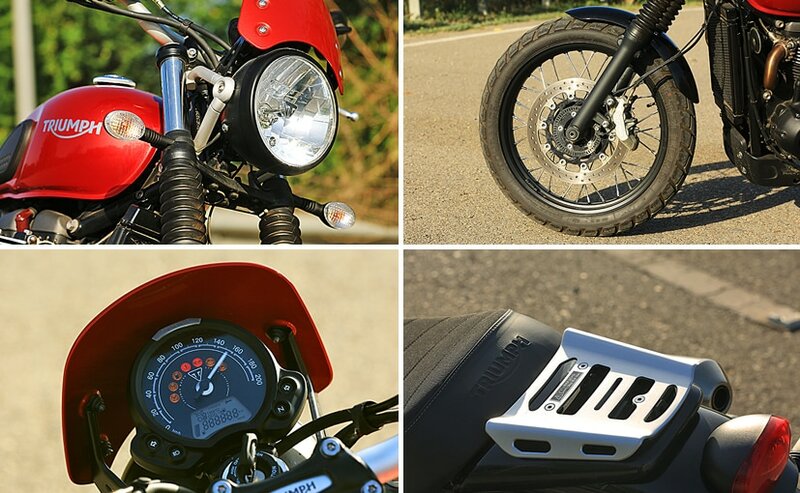 The Street Scrambler now gets 3 riding modes, which are road rain and off road. In the off road mode, ABS and traction control can be switched off completely. The catch here is that in order to choose the off-road mode, you need to be stationary while choosing road and rain modes can be done on the go. The motorcycle continues to get a bigger 19-inch wheel up front and a 17-inch unit at the rear. Both wheels are spoked and are shod with Metzeler Tourance dual-sport tyres with tubes. 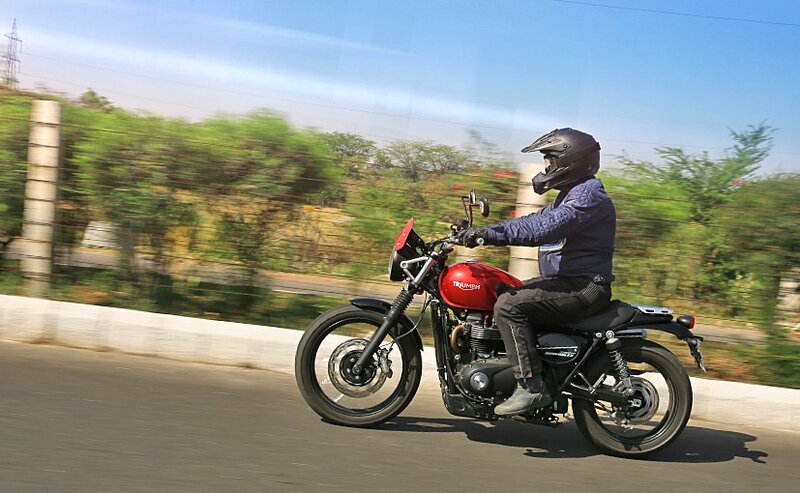 Also, the front suspension consists of cartridge type front forks with rubber gaiters and is spaced wider apart, which not just gives a purposeful stance to the motorcycle, but also gives a more planted front end feel. The front brake is still a single disc unit, but gets Brembo four-piston calipers for better bite. The ride quality on the new Street Scrambler is supple and it soaks up all the bumps and ruts on off-road trails quite well too. The 5-speed gearbox is smooth and offers precise shifts, making for an engaging ride. The engine and the power delivery are smooth and refined and thanks to a more comfortable riding position along with wider handlebars, you can put in more kilometres on the bike. 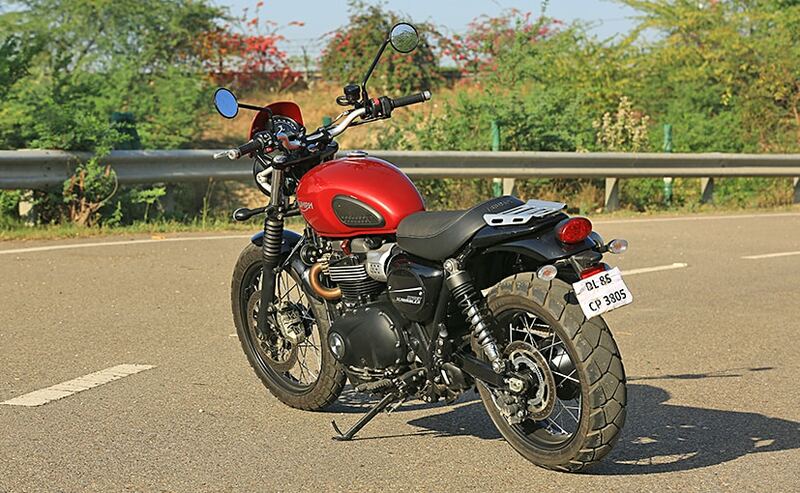 The engine retains its smoothness and the motorcycle now feels peppier and more eager when building up speed. Plus, it loves to tip into corners aggressively and barring the low footpeg clearance, you end up coming out of the corner with a smile. And yes the low end torque also helps when you go off-road.